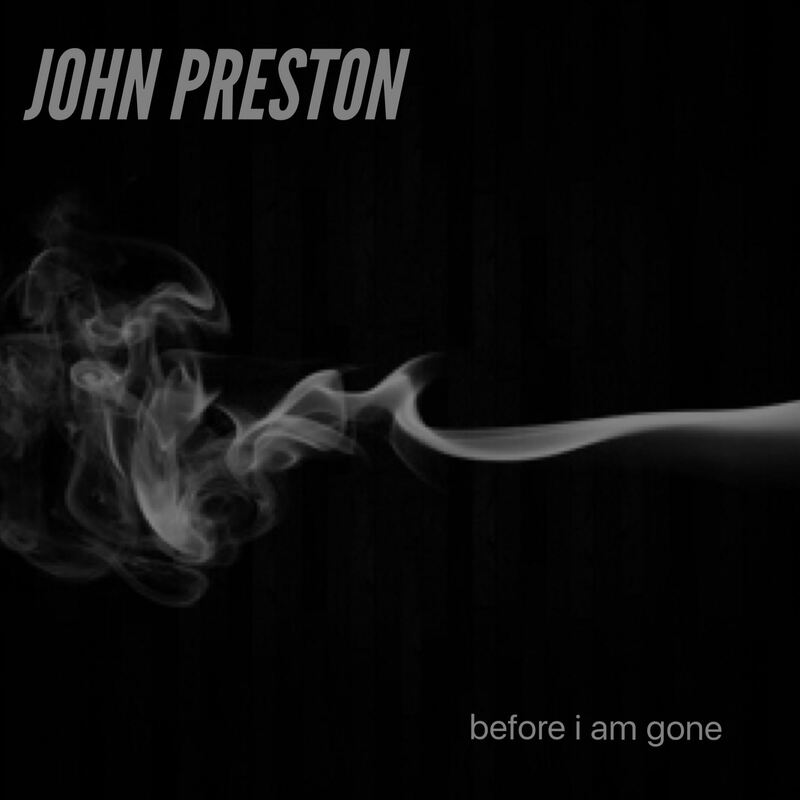 Nigh on a year ago I interviewed the singer-songwriter John Preston (link to original interview). Now, nearly a full year later, I spoke to him about what has been happening since then. 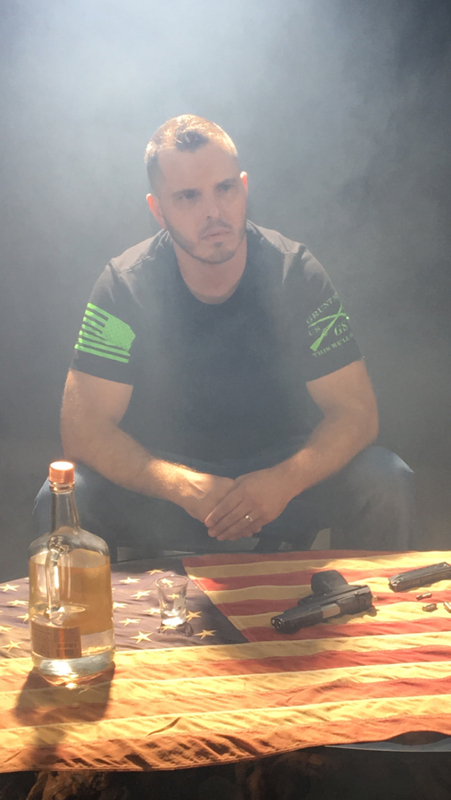 John (ex-US Marine Corps and currently firefighter) talked about: his mission saving the lives of veterans from suicide, signing to Concore Entertainment, the newly released song “Before I Am Gone”, his plans for the future and more – Davina Baynes. All profits from “Before I Am Gone” go to Stop Soldier Suicide. DB: So what has happened since our last interview, when you were about to bring out “Superman Falls”? DB: That was Pacific Records, yes? JP: Yeah. Basically they sign you, record you, and it’s on you to make success out of it. As a young artist you’ve got to learn to hustle, you’ve got to learn how to work, and I learned that quickly because I’m an adult (I’m 35 years old now) it was different than thinking that some sort of label is just going to make everything happen. I just went to work for myself. I know that it’s my mission in my life and there’s nothing more important to me than success, so it’s all about hustling. “Superman Falls” did great. The single itself, and we’re talking about a release where it’s not the release that we’re doing right now (this is a major label brand thing) it’s a release that’s put out in social media, iTunes, Spotify and whatnot, and getting as many people as possible to see it. I think we moved about 10,000 units on week one – we had a four week pre-sale. We crushed it on week one! That’s why we hit #21 in the Rock Charts, we did something that is not really heard of, an independent artist with an independent album. I was picking up a lot of media attention – which again was hustle, it was just me working – but I’m not happy. I’m never going to be happy. I’m not satisfied until I’m the biggest star on Earth. I have a goal and my goal is well beyond letting 10,000 or 100,000 people know what’s going on: I want to write laws in Congress, to change the view and perspective of the veteran community. I believe that route is through celebrity, that route is being the best in the world for a long time and I aspire for nothing else. So “Superman Falls” happened, the moment I saw #21 become #22 and #25 and then #50 and then out of the charts eventually, I was already back to work. I ended up cutting a deal with Stop Soldier Suicide, they wanted to do “Before I’m Gone” (they requested that song specifically) and me, it was like I had won the lottery because we had released that song in 2014 with “Your War’s Over” and we didn’t promote it because I didn’t like the recording. By far, it is the most personal song I have ever written – it’s my personal suicide note. When they asked to do that I said, ‘Yes! Let’s go into the studio, let’s redo this.’ So I went in and I worked with Alan Sanderson; now Alan has recorded everyone from Rihanna to Elton John, he’s got Grammys and platinum records all over his wall. I wanted to make the best quality, best music, that I had the ability of doing. So we recorded the track, I was really excited about the track, and we just kept moving forward, forward, forward. Pacific Records weren’t really geared up ready for the imminent release of the single, so I realised then that it’s time to turn it back on and I told them that that was fine and that I was going to go shop with major labels. I called Stop Soldier Suicide and said, ‘Hey, give me a month.’ Within about 25 days I signed with Concore Entertainment and [we are] using Universal now as our distribution. So we had got to the point that we had enough recognition, enough contacts that I could move on and was able to get the right people lined up to get the work done. DB: And that was basically because of the hard work you had put in, networking with people and working with people before that. JP: It’s funny because musicians use musicians as the people they look up to and people they want to be like but I don’t – I look at entrepreneurs and I look at billionaires and people that are the best in the world and the richest in the world and how did they get there and what did they do to be the best in their field. Not necessarily musicians because, it depends, I’m going to be honest and say, every musician who’s in the Billboard Chart worked as hard as I have to be there, there’s no question. There’s a breed of person that’s going to be there and that breed of person exists throughout the entire world. Gary Vaynerchuk is one of the people I follow religiously and he’s all about: hustle, hustle, hustle and that’s been my mantra. I am going to put in the work. I am going to create relationships. It went from, I would send 300 messages a night to people and send it out, send it out, send it out and get one or two back. I’ve got to the point now where I’m fielding messages now, not even counting how many I get. So things have really changed and that comes from persistence of actually working hard and creating good relationships. I can call the local media when I have a release and I get a TV gig. These writers that I know (including yourself) we go back to work because we’ve created a relationship, everybody wants to follow and is happy to be behind what we’re doing because my ultimate goal right now is to save lives. The celebrity comes with that because I think that’s part of the remedy for it to happen. DB: Your background is not solely in music as you were in the military, so you maybe have a different view because of that. I connect some of this to one point in my life that was magical: I went back to school. First of all, I was a D student in High School, 4.0 all through college. I ended up going into the Fire Service and pursuing that career. In California, for every one opening in the Fire Service there’s a thousand applicants, so you’re in a battle. It’s not about who has the most qualifications, it’s not about who’s the most talented fire fighter, none of that, it’s how you interview when you sit down with the people who want to hire you. That was my process: working on my interviews. 300 hours (probably) interviewing, mock interviewing, faking it, and doing it over, and over and over again. I knew, when I got my opportunity, when I got my nod, I was going to get hired. That changed my perspective on work. That changed my perspective on how it is supposed to be accomplished because a lot of musicians think they’ll go play bars until someone recognises them. I know guys that played 250 shows a year that are successful now but that route was cruel. I took a more modern route: it’s not the social media route but it’s more modern in making the issue public, making our music public and doing everything we can to grab recognition, rather than playing in a bar for ten people. Because every new article that comes out has the potential to reach 10,000. Once you put in the work to get the nod, it’s your turn. What you do once it’s your turn is up to you. We’ve been blessed enough that it’s our turn, man, and we’re going to work! DB: And you’ve worked really hard at it. DB: I think that might be because you are really driven and that you have got this goal, that is there, and you are determined to get to it, although you might get knocked off course you’ll bring yourself back on again. I’m 22 years old at that time. I wish I would have listened but at the same time I’m glad I didn’t have success then – I’d probably be dead, because I had a substance abuse issue. I’ve been sober since my brother’s loss (almost two years) and it’s a different world now. I know myself more than I’ve ever known myself and I know what work is now and how to stay persistent even when I get ‘down’. Instead of turning to the bottle I turn to meditation and come and clear this mess out and go back to work. DB: Your new focus: at one time it was looking towards making people aware of the problem of suicide amongst veterans and now it’s changed towards prevention. JP: Not just prevention. I want to save lives. As a fire fighter I’ve got a cool job: I have the ability to actually, physically, save someone’s life and that happens sometimes. I’m telling you right now: that’s the coolest feeling on earth. I have a guy that comes to the fire station with his family – and I’m talking about his 6-year-old and his 8-year-old and his 12-year-old – and we cook together and we hang out together because we saved his life; he was dead and we brought him back to life. That’s a feeling inside you, that you can’t shake. Now I’m to a point where I’m getting messages monthly on a large scale from people saying, ‘I was going to take my life today and I heard your music.’ It’s altering me. It’s giving me that ability to say, ‘What we’re doing, is working.’ There was a point, right when we released “Day To Night” and I lost my dad, I didn’t feel like I was accomplishing anything. I didn’t feel like I was making change and it took my brother’s suicide, it took losing one of my best friends, to realise that there’s a teeter point, because you don’t know. I didn’t know, I didn’t understand – I wasn’t a family member at that time – I don’t know who these people are that are taking their lives and now this person who was this strong, amazing human being that I looked up to my whole life (no matter what success I had, I wanted to be as good as him) and he’s gone. I’m like, ‘How did he get to that point?’ Because I didn’t hear it. I didn’t see it. Now it’s searching for that person that’s on that teeter point and letting them know. First of all: you’re going to F*** your family up dude! And second of all: it’s not better without you, you don’t have to do that! Look at me today. Look at where I’m at in life. I charted last week and I’m still charting there in Europe and we haven’t even started our campaign basically. We have a global video campaign starting next week. We’ll have a Billboard campaign on mainstream radio starting within the next couple of months maybe even sooner and this is because, when that point happened, we moved forward. Don’t give in to that trigger man that’s standing there on your shoulder saying, ‘Let’s do this! Let’s do this! Just end it. Life’s going to be better without you. Nobody wants you around.’ All your troubles are temporary and you can make it a positive and you can move forward and it’s all in your mind. I didn’t understand that until I lost my brother and when I lost my brother, my mission changed, my concept changed. I didn’t want to tell the world anymore, I wanted to save the world – and that’s a really crazy statement, but I mean it. I want people to recognise that their family is still there and every bit of burden that was there before, they get it. It’s not them. I don’t think it’s them, it’s a monster. It’s a monster that continues to tap on your shoulder. I tell people (specifically that I talk to with problems because people reach out) when you hear it the first time in your head, when you envision it for the first time – killing yourself – you can’t just push that away because it gets bigger and it gets meaner. You need to figure out right then, that moment, the first time you see yourself loading a gun, cutting your wrist or taking a bunch of pills, the first time you can visualise that, it’s time to go and get help. Don’t give a crap about everyone else around and what they may, or may not, think about you going to get help because a lot of people are driven on ego and they won’t give in. But all that ego is a slap in the face when they ultimately take their own life. DB: I think because they see it as a weakness: to go to the doctors is to admit they have got a problem. JP: The actual act is the biggest weakness on earth and it’s just proof that, that ego wouldn’t commit that act. It’s not even them doing it. It’s like some sort or entity, some sort of evil wants to take them away and they do. You’ve got to catch that monster and get it the hell out of your head now! The people in the video…it’s kind of magical how it all happened… Jamie Keller is my friend, he’s in the beginning, running trying to stop her to get off the thing, he’s a Navy veteran and a comedian: he’s a monster in Hollywood, he’s got all kinds of different shows that he hosts and was in My Boys for several years, but he’s a comedian, he doesn’t do serious stuff. He heard we were doing the project and I was just calling him to invite him, I said, ‘Hey! Do you want to come hang out on set while we’re shooting and maybe interview and talk about what we’re doing?’ And Jamie’s like, ‘Dude, I’ll be in your video.’ So Jamie jumped on board. We put out our casting call for the lead and I got a call from an agent, that I know in Hollywood, who said, ‘John, don’t cast anybody, Bonnie Jill Laflin wants to do it.’ BJ is amazing! She’s done a ton of work for veterans over the years and is in a relationship with an active Navy SEAL. She thought it was the coolest thing on earth that she got to play the lead veteran. In typical fashion of us, rather than a Hollywood-style video shoot, we had a barbecue and hung out all day and just had a good time. That’s our relationships that we create, that’s the vibe when you’re working with us and our camp and our people: we’re chill. We just want to have fun. I think we get the best product when it’s that environment. The video turned out great. This is a story of society feeding this veteran, that’s dealing with post-traumatic stress and is troubled, feeding it with what society says to do. I place society in the video: here’s a shot of liquor, here’s some more pills, here’s some more pills, here’s some more liquor, here’s some more pills, here’s some wine and eventually I’ll load the gun for you. DB: I guess it just facilitates the whole thing to continue because all they are doing is treating the symptom rather than any underlying cause. JP: Yes, and there are so many things that we’re told treat the system. There’s a big push for medical marijuana right now. I’m against substances in general. I have really good friends who are pushing medical marijuana but I’m like, ‘Go for it dude. If it worked for you, then it works!’ I’m telling you, what worked for me is sobriety. That’s what changed my life, is a completely clean life: I drink coffee and I chew tobacco, that’s it. DB: Obviously this is the big push for this release but moving on from that slightly, what are your next plans that you have as to what you want to do? JP: I know what I want to do. I keep reminders in front of me and in my phone is the Nobel Peace Prize. I am shooting for the top of the world. That being said, the process, which I think you are more so looking for: we’ve got to run this campaign out and first become one of the known celebrities in the music industry and that’s all paved for us; the video’s ready to go out. I believe next week it’ll start circulation then the radio, charting, and all of that will come soon after. The show must go on. Someone has to step in and do this. I wrote this whole album in about a week and I have crazy confidence in the singles that we’ve written. It’s one of those things where we are going to get our jump start with “Before I’m Gone” to put us in the public eye, to put us in the top 40 and then record this album. And then I think, probably, five singles will come off this album. My goal isn’t to make the charts and be in the Billboards and be there for a minute, my goal is to create longevity in the music career – to make it my only career, to be able to step away from the Fire Service (as much as I love it) and pursue changing lives. I’ve said, I’m going to write laws in Congress. I’ll be a big enough celebrity that I can call President Trump and say, ‘Let’s sit down and this is going to happen.’ So the plan that’s laid out is for me to get this out, get more music laid down and then probably hit the road. Concore expect that once we reach a certain level we will be signing out to the majors so once that happens we’re looking at, it’s already being distributed by Universal anyway (we are probably going to be under Universal’s belt, that’s what it’s looking like). I don’t expect, after this single, to ever not be in the charts again. We create new expectations once we’ve reached a certain point. When this released we had #168, I think, on the iTunes alternative charts, that was incredible because I had never charted a single! Never! So charting a single takes a lot of downloads a day and we did it! That was incredible. At the same time we are climbing the European Independent Radio Charts right now and we are getting ready to break out on the Digital Radio Tracking Charts. Looking at this and saying, ‘Okay, this is now our new ‘normal’ so what can we accomplish above that?’ For me, I really, really want to get this next album laid down before anything happens but I need, for myself, to have my own fulfilment. I need to run this campaign out to its highest: the Today Show, Tonight Show, Good Morning America, Ellen. Everything needs to happen in this release. DB: That’s your platform then, isn’t it. JP: Yeah and Concore said it when they signed me and expected the release “Before I’m Gone”, they said: ‘“Before I’m Gone” will be your introduction to the world and once we get that introduction you’re going to be there for a long time.’ They’re behind my talent, they know I’m good and I took a lot of years to realise I was good, I had issues with that. I’m like, ‘Man, I’m not a good guitarist. My voice isn’t that great you know. I’m building good songs but it’s built within my ‘thing’.’ Talking about shows like X-Factor and Idol and all that, they are actually deterring to someone like myself that’s a great writer and a great composer, watching these singers, that are just incredible singers, makes you think, ‘Oh man! I couldn’t sing a Maroon 5 song! I can’t do that.’ You realise, then you look at people like Stone Temple Pilots or Pearl Jam where it didn’t matter! Eddy Vedder couldn’t sing a Maroon 5 song but he’s one of the greatest ever. So these are confidence hoops that you have to jump on your way through and not worry about them. DB: Well exactly, because if you were worrying about anybody’s singing voice Dylan, Cohen and Young would never have got anywhere. JP: Yeah. There are other people: John Lennon! He could not sing to save his life! But you listen to his albums post-Beatles and man, that is so raw, but raw is what makes it, you know. DB: I wish you the best of luck John because this is an interesting journey that I have been observing over the last year or so. As I said I love entrepreneurs and I also love people that live by the laws of attraction. I listen to Will Smith, I listen to Steve Harvey and listen to what they are saying. Steve Harvey said, ‘It’s not going to be easy but if you take that jump it’s possible, and it can happen, and you can live that life, that you’re jealous of everyone else soaring around you. You can do it.’ This drive, this push, this life that I’ve created – which literally everybody I know probably does not want to be part of it because it’s so painful physically and mentally – it becomes something which you can’t help but feed off of. It’s amazing! It’s incredible! And you’ll have this awesome accomplishment but literally, as soon as you are done with that accomplishment, you’re going, ‘Okay. What’s next? How do I get it bigger?’ you have to set your goals. My goal is at the very top of the world, I have no ceiling. I want to be No. 1 in the world because I want to make real change. I want to write laws in Congress. I want to reach back to the veteran community and say, ‘What do we need to change? What do we really need?’ And then from there, we move forward with that problem. DB: And hopefully what that would do is, not just within the United States but within places within Europe, in the U.K. where we all have people in exactly the same situation. JP: Far more trauma than half the people on the battlefield. Trust me, in the Fire Service there’s a lot of loss of life and it is not easy. I’m crazy excited about this [song release]. I go through my own emotional dips, you know, ups and downs of, ‘It’s not happening the way I want it to.’ We released and we only hit #168 and I wasn’t on The Today Show that week, so for me I’m like, ‘Grrrrr.’ But the reality is: this is bigger than it’s ever been. I’ve never had the concept of even saying: Universal Music Group, behind what I am doing. And it’s amazing that they’ve given us the nod! Concore Entertainment has a great relationship with them and they said, ‘This is the next Bruce Springsteen.’ That’s what they told them. ‘This is your next, for the people, American artist. We need to get behind this.’ And basically made them see the big picture of everything and it’s paved our future to a point that. I make a lot of phone calls in a day, a lot of times to get interviews or whatever, but the one thing I don’t have to do is check on my label. Everything they promised me, happens and it’s amazing – just insane. And when we do have issues, I’ll call and they’ll fix that issue right away. Just a funny story to take away on that is: what Concore calls me is a ‘serious artist.’ I oversee things, very, very closely. It’s not micromanaging but I oversee things and make sure things are happening. When our link came out on iTunes it was the Apple Music link, not the iTunes Store link, so I was on it immediately, I’m calling three or four times saying, ‘We’ve got to do this now! It’s got to be fixed, we’re in pre-sale, we’re losing sales. I’ve already dropped a video.’ I was like, ‘We got to go! We got to go!’ So he calls the guy at Universal who runs our iTunes three or four times and eventually the guy gets back and is like, ‘I’m running Taylor Swift’s album right now and between your guy and Taylor I’ve got sixty artists!’ He was like, ‘This guy is just like Taylor and this is so annoying!’ And my guy was like, ‘Look, they are serious artists. You’re saying it right now, when you’re saying Taylor Swift and you’re comparing our guy with her, because you’re comparing my guy with the best in the world.’ And I got a kick out of that and think it’s the best thing ever because I’m in a category with Taylor because of how much I care about my end. DB: It’s the sentence, ‘Between your guy and Taylor Swift.’ Did you ever think you would hear that? JP: No! (Both laugh) No! Definitely because of her work ethic. People don’t see it but she’s like definitely one of the hardest workers in the industry. DB: It’s been great speaking to you John. JP: Thank you very much. Thank you very much. It’s very kind of you to show your support of us here. We’ll do our best to keep on giving you quality interviews etc. Please feel free to comment again if you would like to.